Along with the annual Christmas lights and decorations throughout town, Searcy Parks and Recreation unveiled a Sensory Walk at Berryhill Park in a ribbon cutting ceremony on Nov. 14. First Security Bank has fundraised every year for about a decade, and Kristi Thurmon, vice president of marketing and social media of First Security Bank, said the company wanted to put that money toward something for disabled children or kids of all abilities this year. The walk features colorful park equipment such as a toy piano that plays different musical notes and wheels that make noises when spun. The equipment is for everyone, not just children, according to Mike Parsons, director of Searcy Parks and Recreation. Parsons said First Security Bank raised about $5,800 for the project, and Searcy Parks and Recreation paid for the remaining roundabout $1,500. Members from both First Security Bank and Searcy Parks and Recreation attended the ribbon-cutting ceremony as the first snow of the year sprinkled on the park. Parsons said the project started three or four months ago, and they wanted to finish in time for the Christmas season. Steve Jackson, maintenance and facilities manager of Searcy Parks and Recreation, and the maintenance crew are responsible for putting up the Christmas decorations in the parks and around town, and they poured the concrete and installed the equipment for the Sensory Walk. Jackson said he used to play baseball at Berryhill Park as a kid, but the park is nicer today. 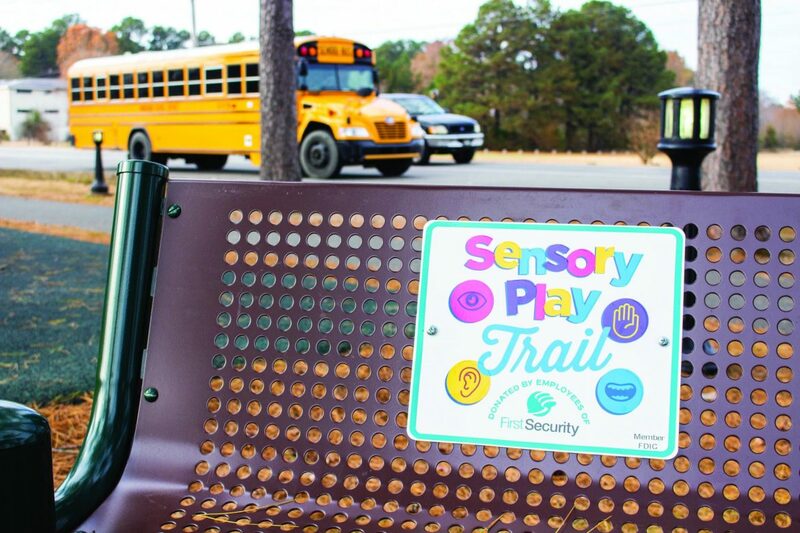 First Security Bank plans to continue the partnership with Searcy Parks and Recreation to make the parks bigger and better every year, according to Thurmon. “Look for more next year,” Thurmon said.